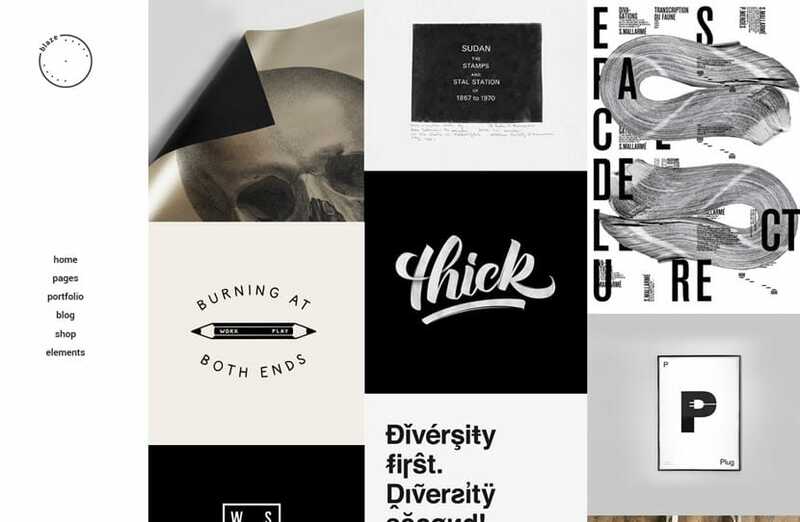 Looking for a creative WordPress portfolio theme you can feel on the same wavelength with? 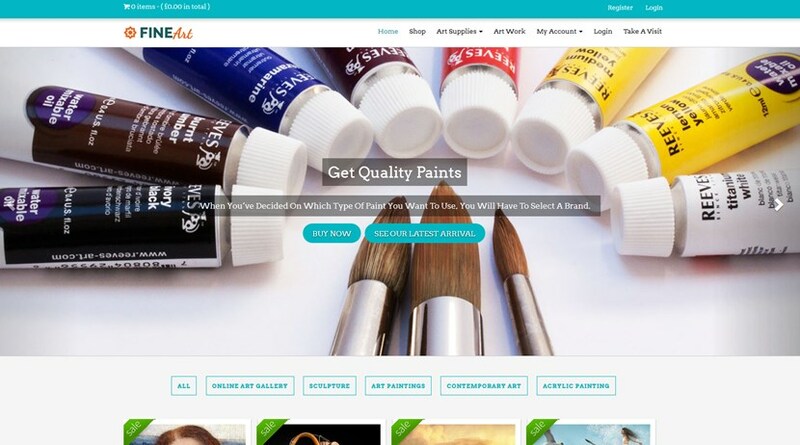 Need to create your own online art store or design agency website? 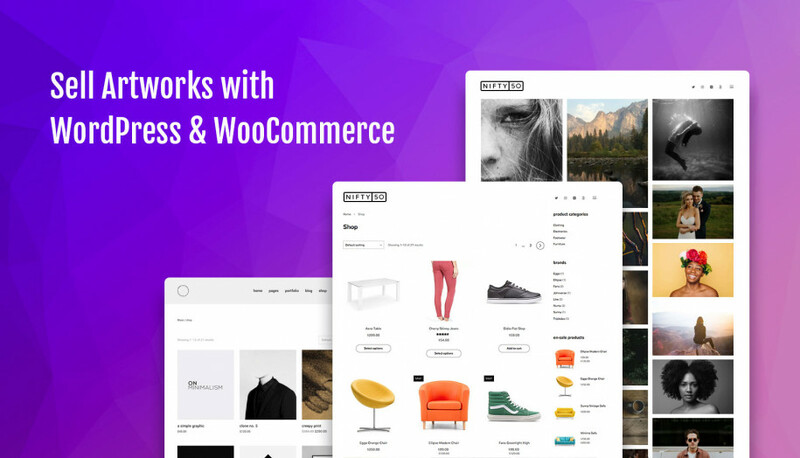 We’ve chosen first-class WordPress WooCommerce themes for creatives like you, which are ready to meet both of those needs: build a unique online presence and sell your creative products with a free WooCommerce plugin. All themes in this collection can be used for a variety of creative needs: art store, illustrator portfolio, product design agency, handmade drawings collection and more. Feel free to dive in. 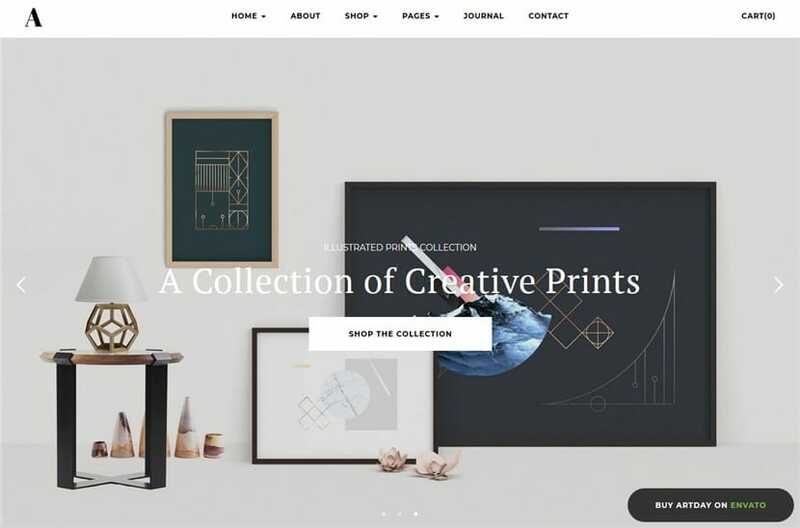 Artday WordPress theme is a perfect example of a trendy design with a focus on simplicity, clutter-free spaces and attention-to-details imagery. The theme will be a comfy home for your paintings, art prints, posters, or product design portfolio. A variety of layouts can also suit modern furniture designers – play up with the sizes, headers and overall content presentation with a help of drag-and-drop page builder and Slider Revolution. The theme comes packaged with stunning Parallax effects, 3 menu and blog layout alternatives, and a range of footer widgets. If you run a design agency, this theme will help you establish a professional look and gain people’s attention and credibility. Artday also includes Layered Popup premium WordPress plugin for free, so it will definitely help you simplify your promo campaigns. The theme is constantly updated, so you’ll be pleased to see several cool features released constantly. 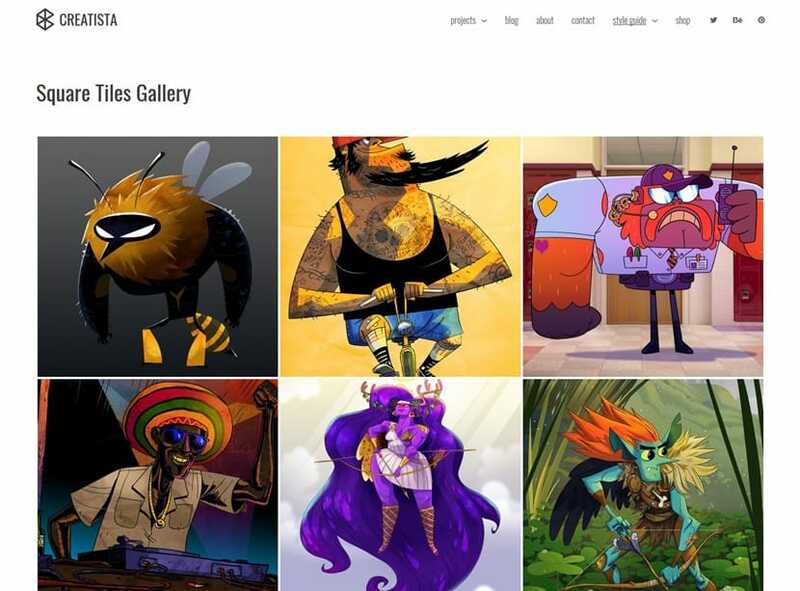 Artwork is a full-screen creative WordPress theme primarily for online art studios and painters. 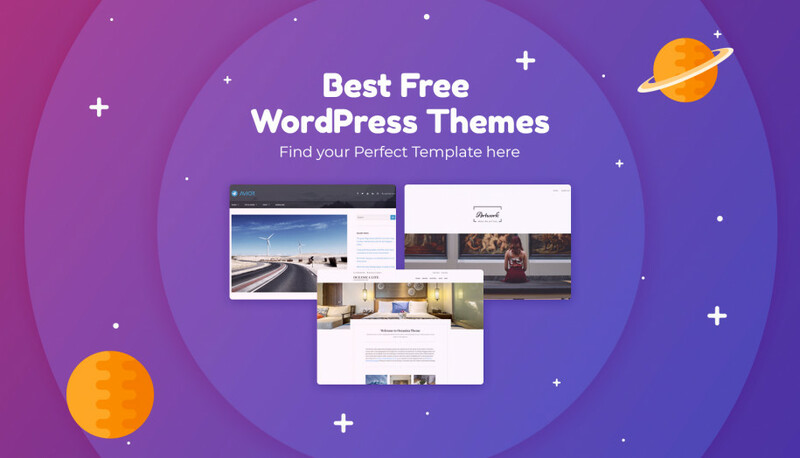 Owning this theme, you’ll be able to build a breathtaking home page with smooth Parallax effects and your best works in the spotlight – all the tweaks are made visually via WordPress Customizer, so you’ll unlikely require any tech help. You may also use any post format, including video and gallery to make your website more informative. If you need a website for buzzing about art events and actually scheduling them in your local area, grab this theme along with a free WordPress Events Schedule plugin and turn it into a really functional and attractive online presence. 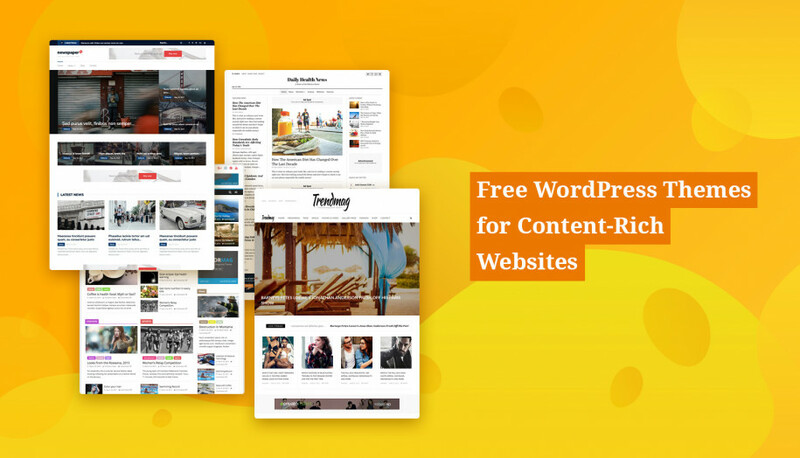 The theme comes packed with a premium MotoPress Content Editor plugin (a saving of $29), so adding any sophisticated content module won’t be a problem – you’ll just need to drag and drop content elements around. 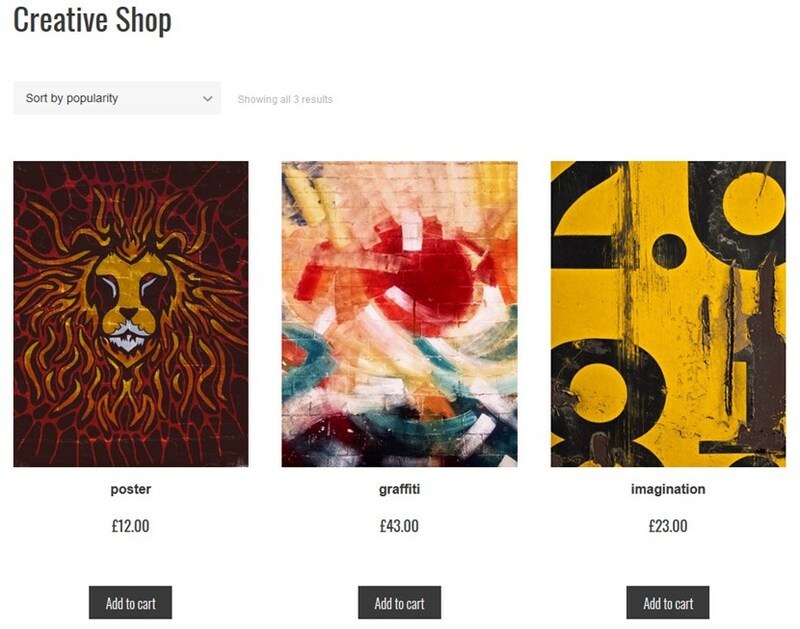 Artwork is fully compatible with WooCommerce – check its custom shop design to see whether it meets your expectations. 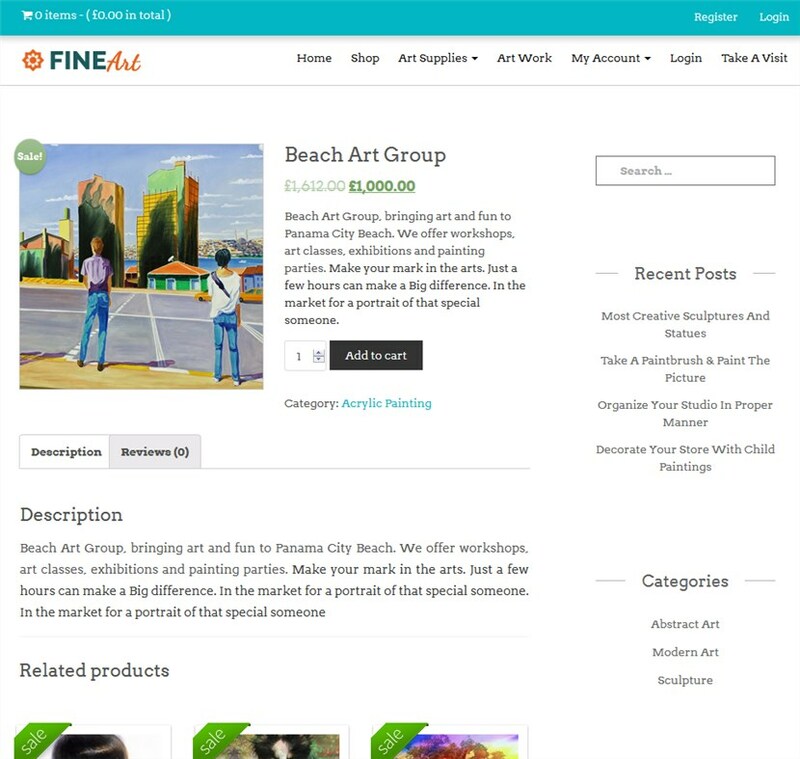 It can be used to sell literally any sort of creative works – art prints, illustrations, etc. The theme is widely used by painters and handmade craft fans. Blaze is bold and multipurpose creative portfolio WordPress theme with WooCommerce integration. It opens up a lot of opportunities for your imagination thanks to a diversity of pre-made layouts and customization options. For example, for individual portfolios you may use Pinterest style, classic tiles, standard list, slider, gallery, full-screen and more layout options. Blaze also supports image and video lightobox, crossfade images, multiple header styles and behaviors, smooth Parallax transitions, a typography set, complete social share functionality, etc. As you see, your customization toolkit is ultimate, which is a great help in making your online creative portfolio really different. Traditionally, Blaze comes with WPBakery and Revolution Slider plugins to ease and enrich customization work with website posts and pages. Really sweet theme, isn’t it? 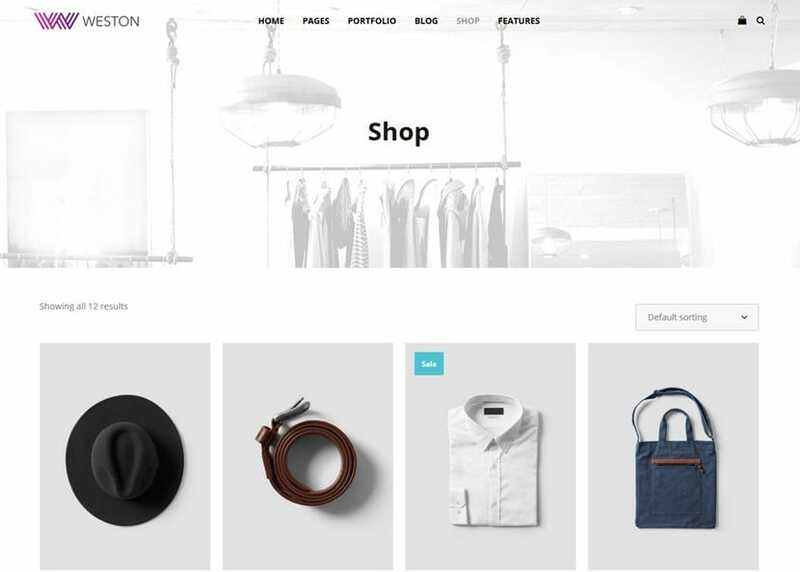 Weston comes with absolutely different built-in layouts – minimal shop, minimal portfolio, freelancer portfolio, etc. So if you have any color and design preferences, you’ll more likely achieve your goals. The theme comes with 1-click demo import tool to speed up the customization process. A range of Google fonts, video backgrounds, multiple header layouts, Parallax backgrounds, custom colors are at your disposal. Weston will also save you some money as it comes with Slider Revolution and WPBakery plugins included for free. 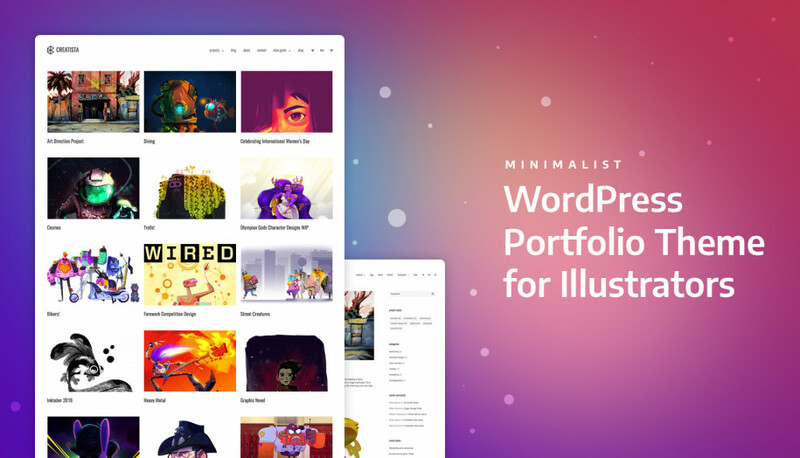 Creatista WordPress theme is definitely known for its extra design simplicity and lightweight functionality: you’ll quickly figure out how to create your portfolios in different styles and categorize them with a free Jetpack plugin. The theme doesn’t contain any painful plugins that usually only complicate the process, especially for creatives who are not going to spend their time tinkering with a tech side of a website. Overall, Creatista is a good choice for product designers and illustrators. 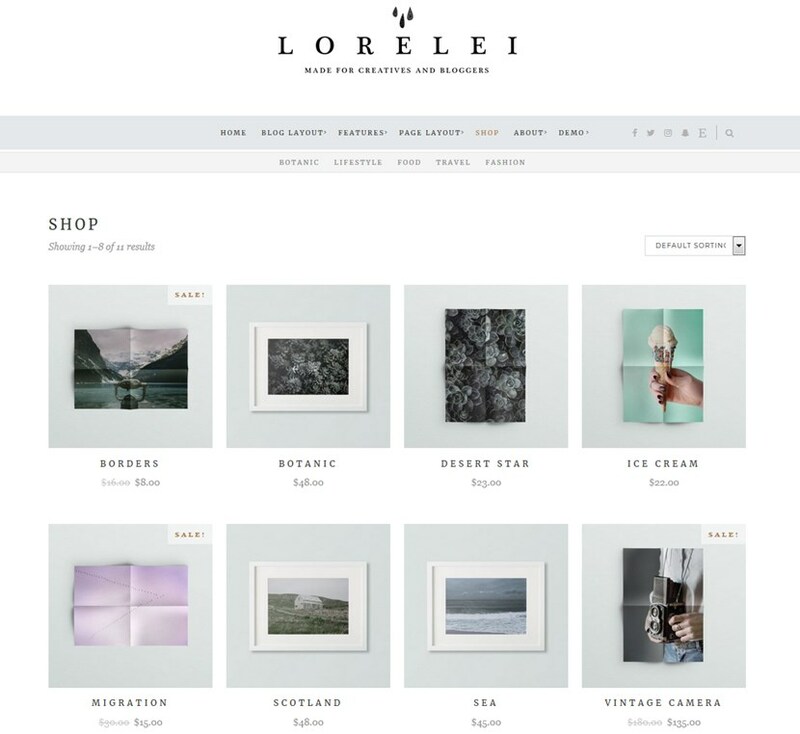 Lorelei is just perfect for creative bloggers who also sell their works. It will create a perfect harmony around your works thanks to neat typography, elegant color scheme and a nice balance of content modules – your Instagram feed gallery and even ads in the sidebar will be displayed in style! For your customization needs, Lorelei comes with 5 blog and 5 header layouts, 2 layouts for featured posts slider, customizable header image and more. Lorelei doesn’t feel that “commercial”, giving you a chance to make your website really personal and present yourself authentically. 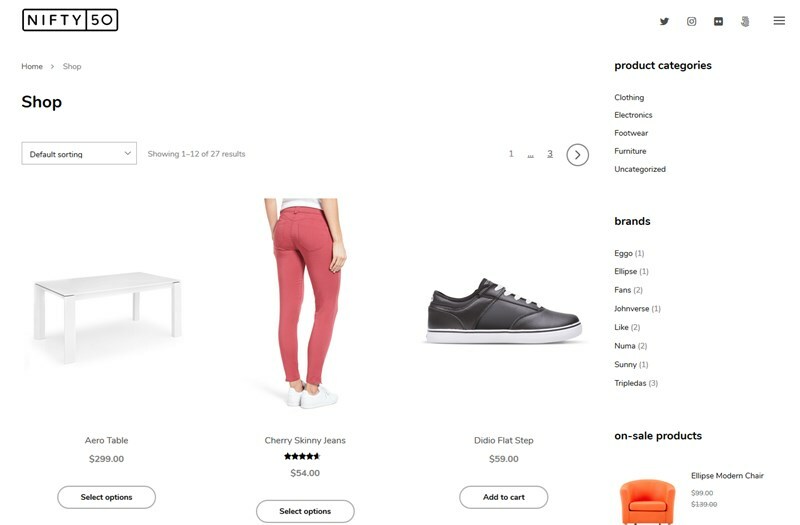 The theme supports different post formats and comes with several plugins included: Advanced Custom fields, Contact form 7, Mailchimp, WP Instagram and, of course, awesome WooCommerce integration to sell your creative products. It’s worth mentioning that Lorelei comes with sample demo data and a child theme to help you work easier and safer with your website content. 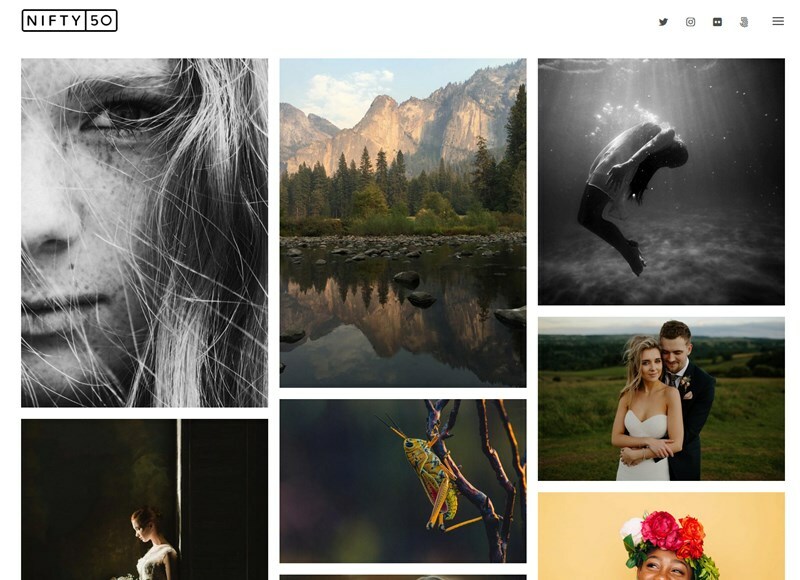 NiftyFifty is a creative portfolio WordPress theme to demonstrate your works in style. If you take a look at the navigation menu, you’ll notice that it’s really tiny, thus, the theme is 100% focused on your images. The galleries of the portfolio are built with a flexible Jetpack plugin, which means you can control how to present your works: the number of columns, the layout (e.g. grid or Masonry), meta data, etc. NiftyFifty theme also comes with advanced SEO and awesome responsive layouts. It uses ‘srcset’ attribute to automatically define a device-pixel ratio to show each photo in the most suitable way depending on the device. 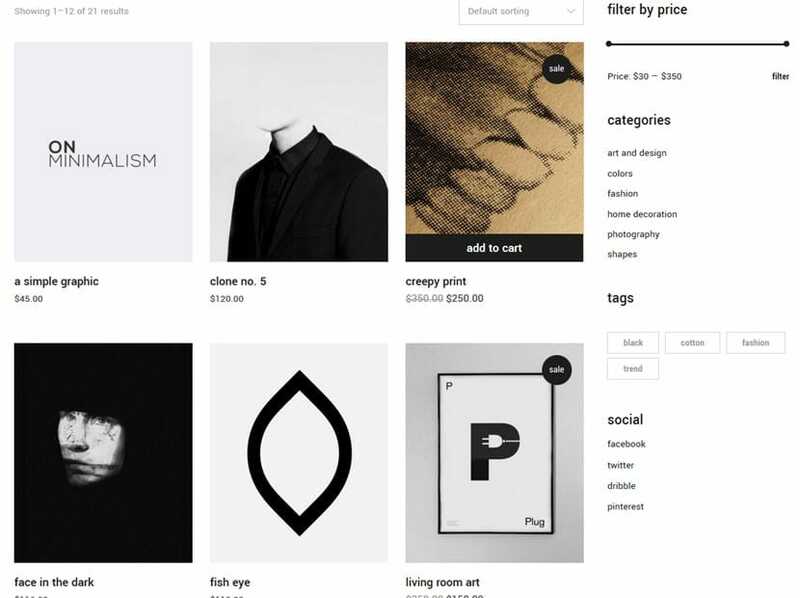 Overall, it’s a fantastic minimalist layout for any creative portfolio. 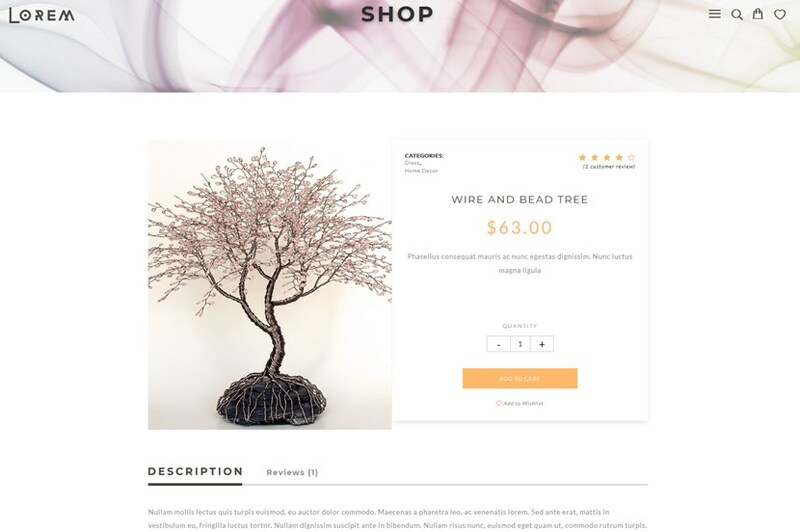 The front page of this WordPress theme starts with a shop – so if you need to only sell things, Fineart shows you the example of how your future shop would look. 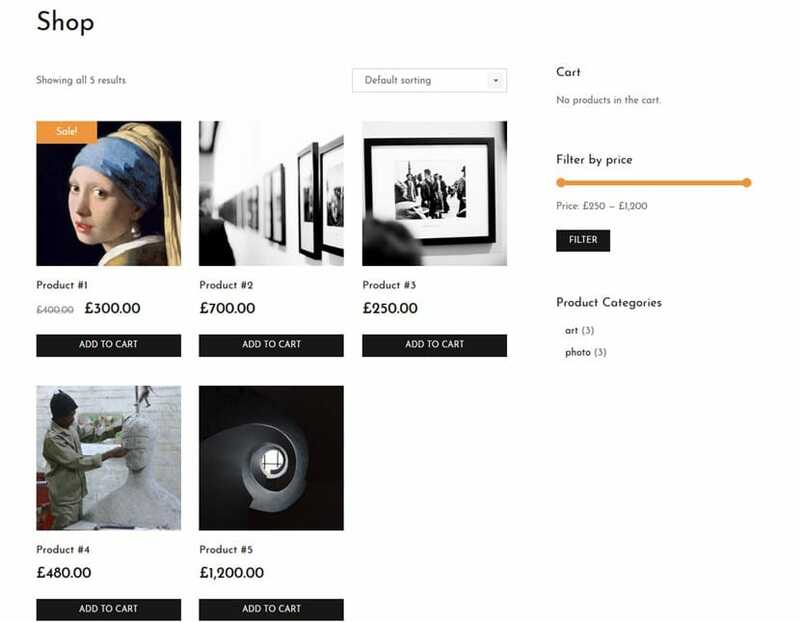 It lets you easily choose product layout of the theme and helps to categorize your galleries, paintings, photographs, etc. The theme also features a cool widgetized footer and rather a classic blog. The theme will let you choose a color scheme (7 per-designed ones are available), customize logo and footer, add your social media links and install the theme in one click. 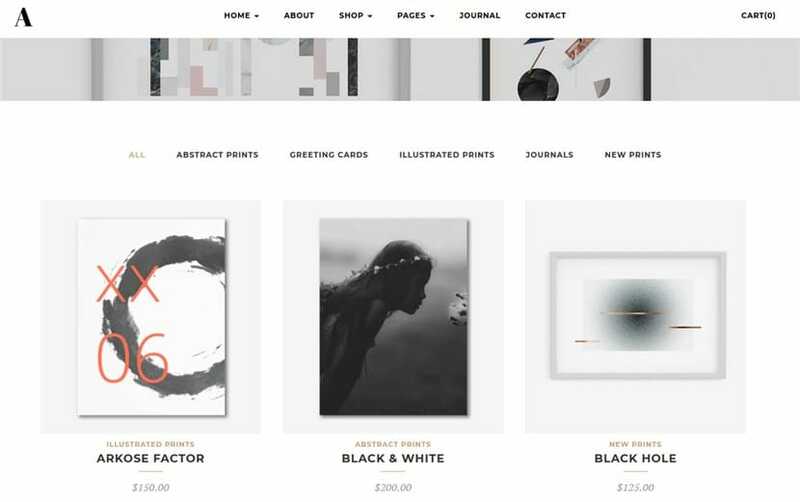 As Fineart is mostly based around WooCommerce, you’ll get a perfectly thought-out art store. 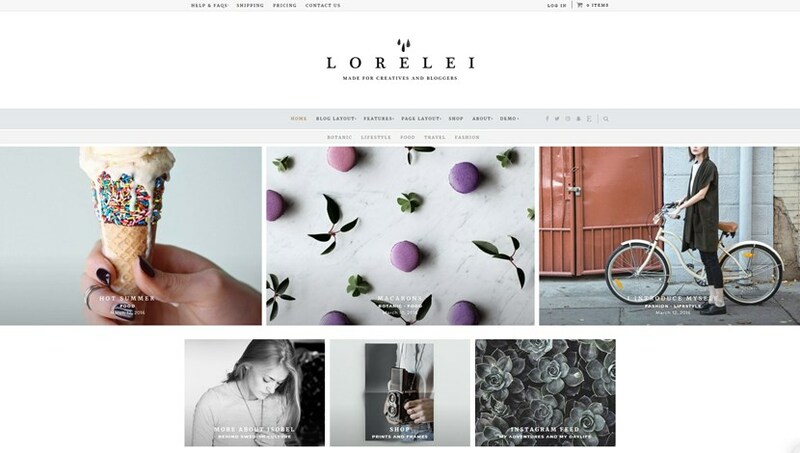 Lorem WordPress theme comes with multiple pre-made layouts for any creative idea, be it a design agency, personal creative portfolio, handmade works studio or just a blog. Each demo comes with lots of interesting animation effects to impress your site visitors. With this theme you’ll be able to customize your sidebars, change colors and typography, customize your menu and edit it easier with sample data. Koncept is stunning. 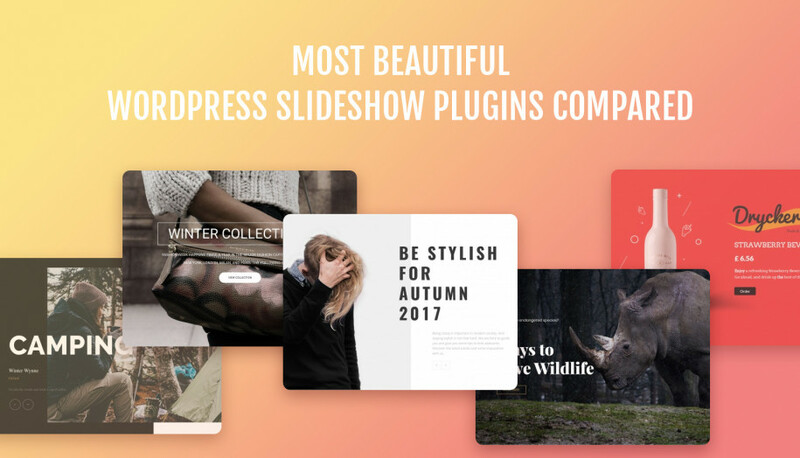 It’s not only visually stunning, it’s functionally powerful – multiple custom layouts and animation styles, awesome modular grid, creative blog styles and more. The drag-and-drop page builder is also available, but you’ll unlikely need it because your customization manipulations can be easily done with just portfolio galleries and custom blog styles. 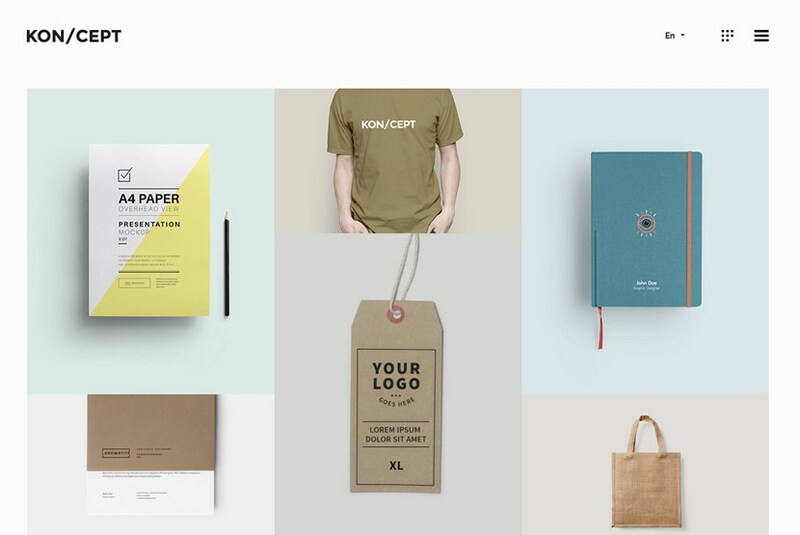 At first glance, the theme was born for product designers, but I’m sure you can use for any type of creative portfolio. 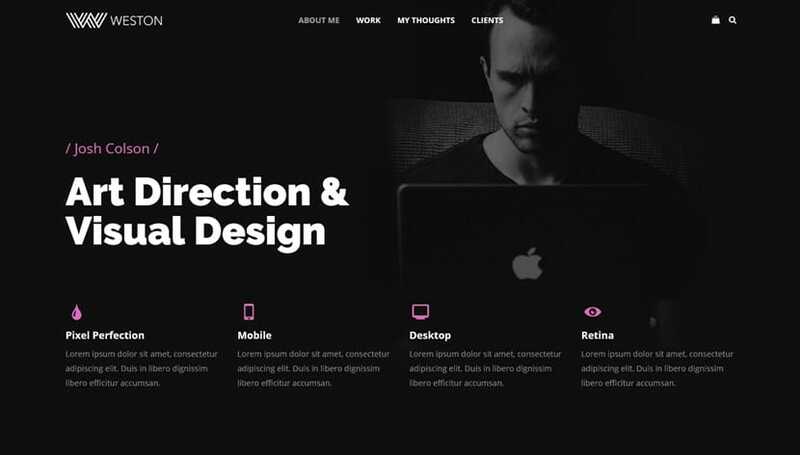 The theme is really quick, slick and professional in many aspects. So, are you ready to continue your creative journey online with a new web design shape? 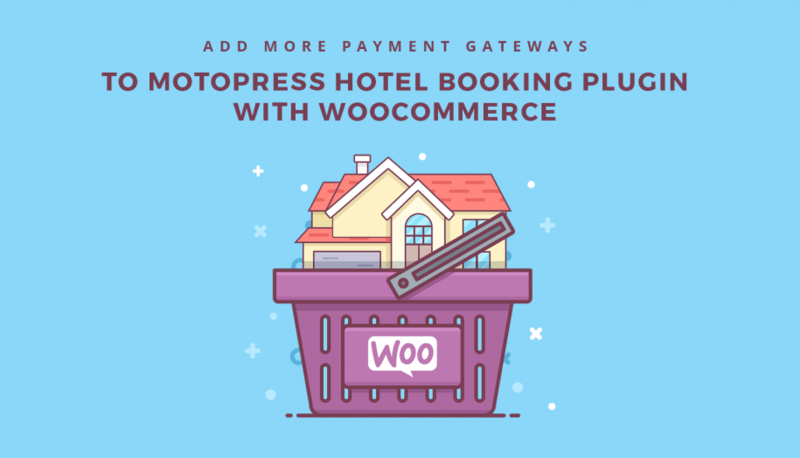 This is really easy to share your creativity with the world and at the same time monetize your passion – just choose a WordPress WooCommerce theme that relates to your own sort of vibe. Thank you very much for sharing this wonderful post. 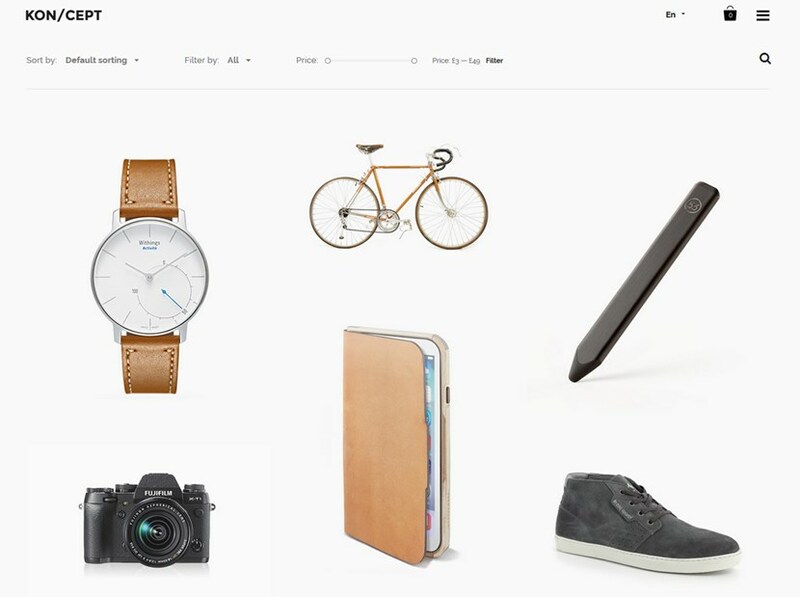 You can also try out one more WooCommerce WP theme which is known as Kosmic. This is a very excellent multipurpose theme suitable for all types of website.